Spring is in the air and, as our data shows, so is a significant spike in apparel sales. As the weather gets nicer, wardrobes start to change. We dug into our data from Criteo’s US apparel retailers from last year to get a sense of what to expect in 2018. Spring is the time for wardrobe refreshes as shoppers shed off their winter coats and prepare for warmer weather. Average order values in the apparel category reach their annual highest peaks in April and May with increases of 24% and 22% respectively, over January. Compared to January, sales increase 6.5% in April and 8.5% in May, with total revenue increasing 26% and 24%, respectively. Apparel shoppers research online and visit stores. Or they use their phones in the store and buy from the website later. 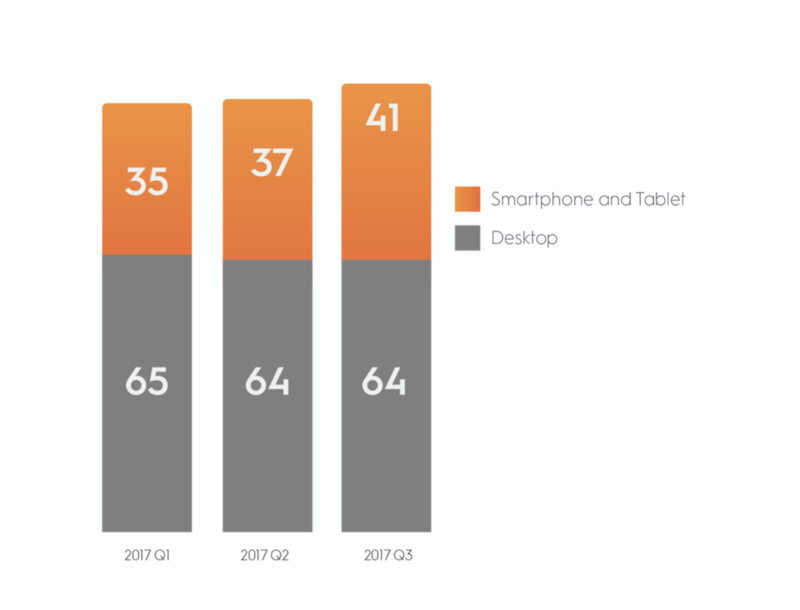 While we saw a lot of evidence of multichannel journeys, desktop still gets larger order values over mobile. That said, 35% of post-click sales completed on desktop are preceded by a click on another device, which indicates that shoppers are browsing on mobile before heading to desktop to buy. While mobile order values may be lower, smartphones and tablets are becoming more popular for purchases. Between Q1 and Q3 2017, all sales growth came from mobile in the apparel category while desktop sales slightly decreased. We expect the same increase in 2018 as shoppers become more comfortable purchasing on mobile and retailers create better app experiences. For marketers, spring is the time to take advantage of shopping fever. Make sure your campaigns are in-market by at least the first week of April to reach shoppers before your competitors, and run them through April and May to maximize sales. Next, remember to market to each shopper, not the device. As shopper journeys are multichannel and multi-device, you’ll want to connect both offline and online data sources to create the most relevant ad experiences. Lastly, don’t forget to optimize your site and app for increased sales on both desktop and mobile. If you don’t have a shopping app, now may be the time to build one! With these takeaways in mind, as the weather warms up, so will your sales.